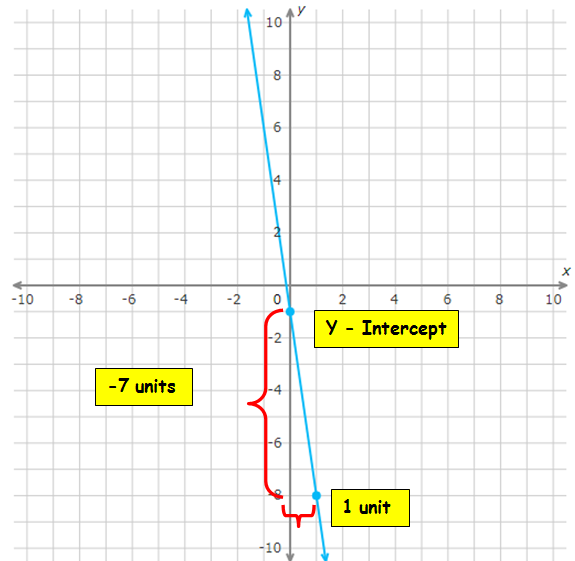 About "Graphing Linear Equations in Slope Intercept Form Worksheet"
Worksheet given in this section is much useful to the students who would like to practice problems on graphing linear equations in slope-intercept form. Rise is -1 units and run is 8 units. 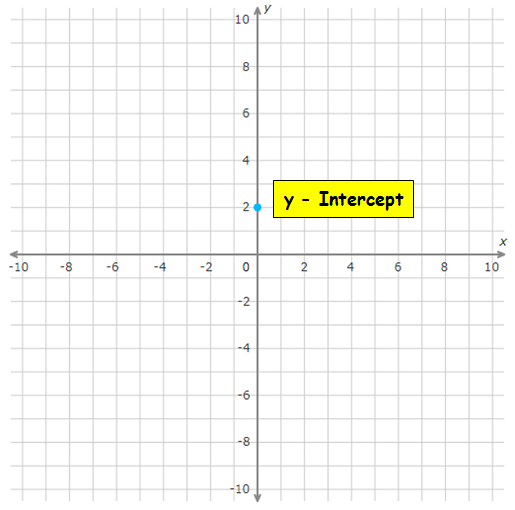 First we are going to mark the y-intercept on the graph sheet. Here rise is -1, so we have to move downward 1 unit from the y-intercept. Since run is 8, we have to move right side 8 units from y-intercept. 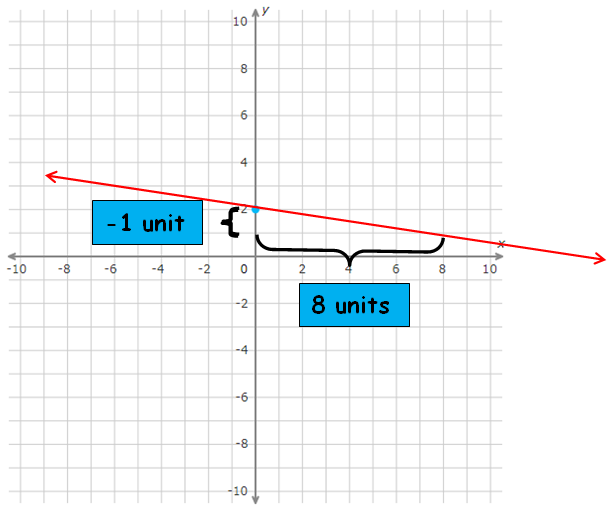 Rise is -6 units (Change of y) and run is 1 unit (Change of x). Here rise is -6, so we have to move downward 6 unit from the y-intercept. 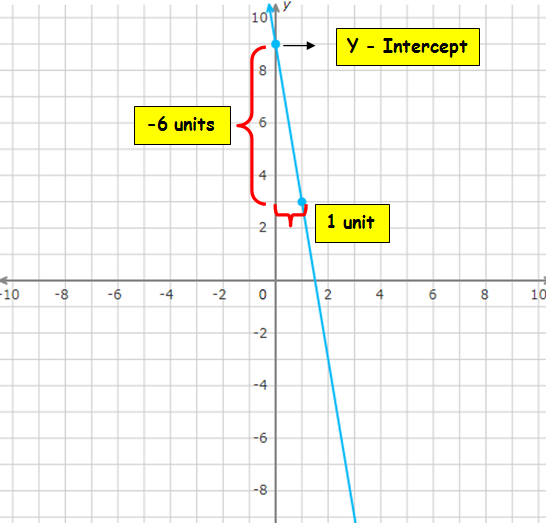 Since run is 1, we have to move right side 1 unit from y-intercept. Rise is -7 units (Change of y) and run is 1 unit (Change of x). Here rise is -7, so we have to move downward 7 units from the y-intercept. After having gone through the stuff given above, we hope that the students would have understood "Graphing linear equations in slope intercept form worksheet".